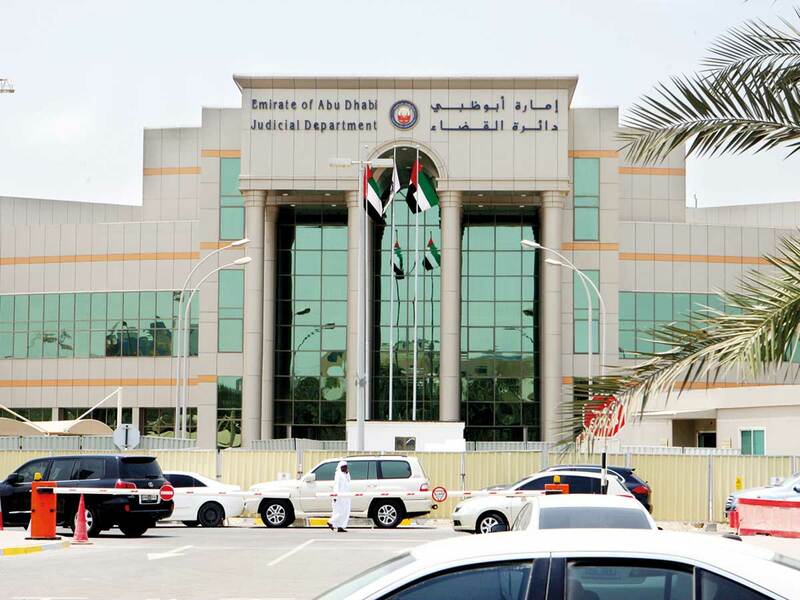 Abu Dhabi: Indian expatriate workers who reside in the country can now lodge their claims and complaints to the Abu Dhabi labour courts in their mother-tongue after the Abu Dhabi Judicial Department (ADJD) recognised Hindi as its third official language after Arabic and English this week. Workers can now lodge complaints in Hindi about delayed wages, end of service entitlements, bonuses, compensations for arbitrary layoffs, notice periods and annual leaves, as well as claims for air tickets and the return of their passports. The move has been lauded by Sushma Swaraj, Minister of External Affairs of India. Indians are the largest expatriate community in the UAE with more than three million living in the emirates. This landmark decision will benefit a large chunk of Indian workers as most come from Hindi speaking central and north Indian states. The department has extended the adoption of interactive forms of statement of claims filed before courts by including the Hindi language alongside Arabic and English in labour cases. The decision will allow foreigners to learn about litigation procedures, their rights and duties without a language barrier, in addition to facilitating registration procedures via unified forms available through the ADJD website. Yousuf Saeed Al Abri, Undersecretary of the ADJD, said that the extension of the adoption of interactive forms in several languages was to ensure the development of a judicial system that plays a pivotal role in attracting foreign investments and enhancing the emirate’s status as an attractive business environment as well as a destination for skilled labour. The inclusion of the Hindi language at the court will enhance access to justice for expatriates and foreign investors by simplifying litigation procedures, he said. Last year, the department also announced the opening of a new full-fledged labour court in the capital where all cases pertaining to workers and contracting parties will be heard. The decision is part of the bilingual litigation system, the first phase of which was launched last November, through the adoption of procedures requiring the plaintiffs to translate the case documents in civil and commercial lawsuits into English, if the defendant is a foreigner. 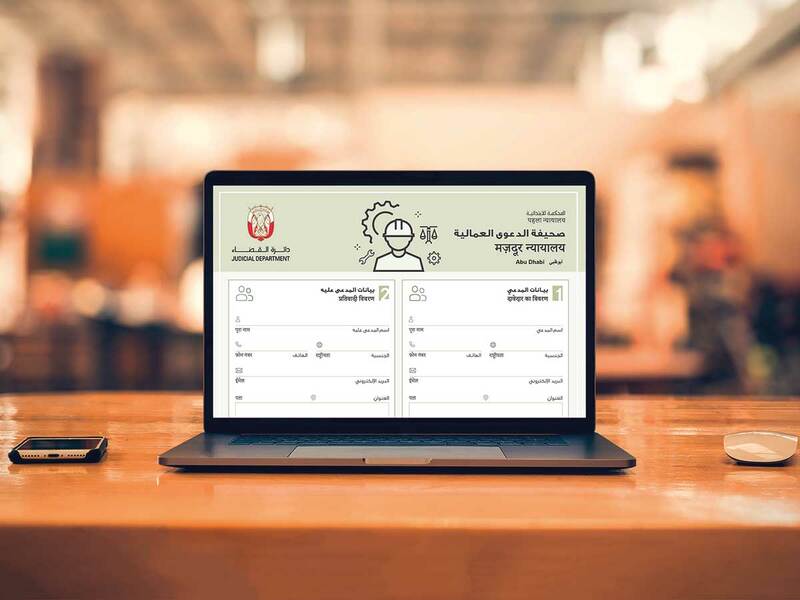 This is in addition to facilitating registration procedures to the public through simplified and easy forms and raising litigants’ legal awareness via interactive forms of the statements of claims, to ensure access to the legal materials related to the subject of the dispute, the undersecretary added. A court form in Abu Dhabi has been templated in Hindi for the first time, and is titled ‘Majdoor Nyayalaya’, which means labour court, in the Indian language. The templates are easy to use and are free of complex legal terms. Workers only have to fill major details, include name, complaint against, job, salary and demand from court. These complaints can be anything from delayed wages, end of service entitlements, bonus, and compensations for arbitrary layoffs, notice periods, annual leaves, and claims of air tickets to the return of their passports. It also gives an option of ‘others’, if the dispute differs from the above options mentioned in the form. They can also provide any additional information in Hindi. Workers are required to upload the supporting documents. The form also gives workers an option to request for a lawyer online. Apart from these options, the form also states a number of rights and privileges of workers in Hindi as per the labour laws of the UAE.